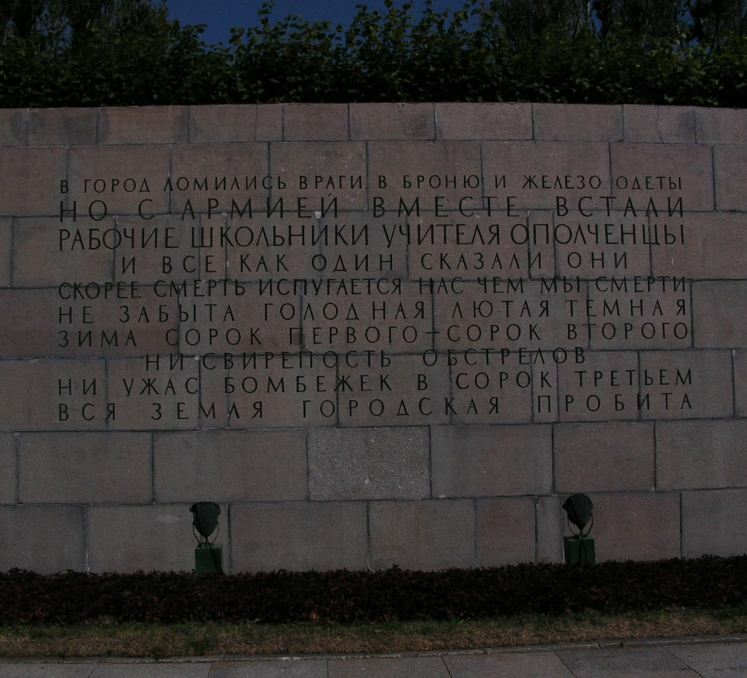 One happened to stumble on something yesterday, 71st anniversary of Germany’s invasion of the Soviet Union . 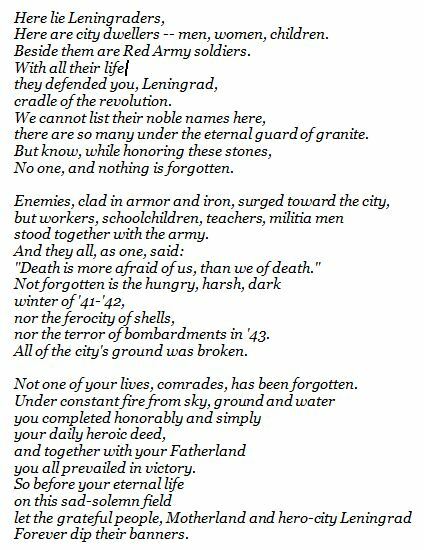 . . famous words that “No one and nothing is forgotten” on Russia’s Day of Remembrance and Grief. Probably few non-Russians are familiar with their origin. They come from a poem by Leningrad blockade survivor Olga Berggolts. 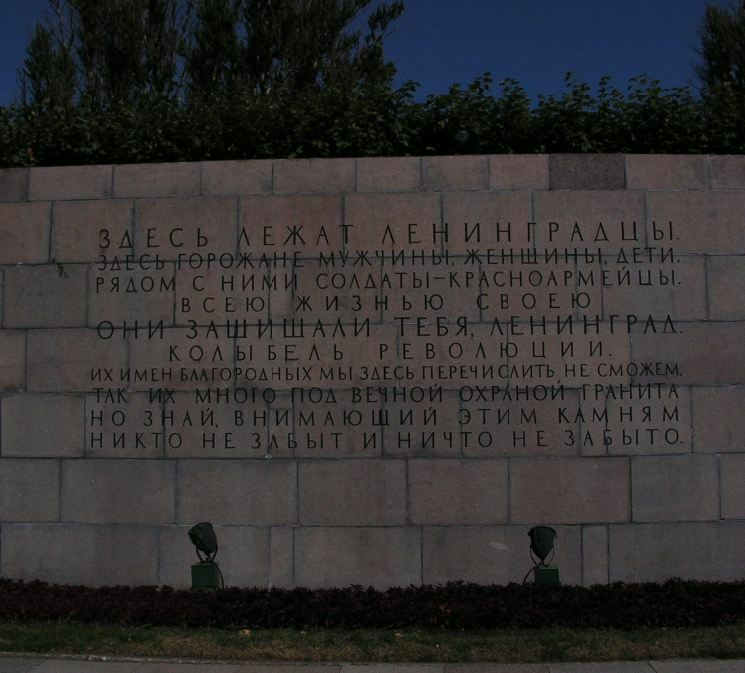 Poignant verse carved in the stone at the center of Piskarevskoye Memorial Cemetery on the outskirts of St. Petersburg. 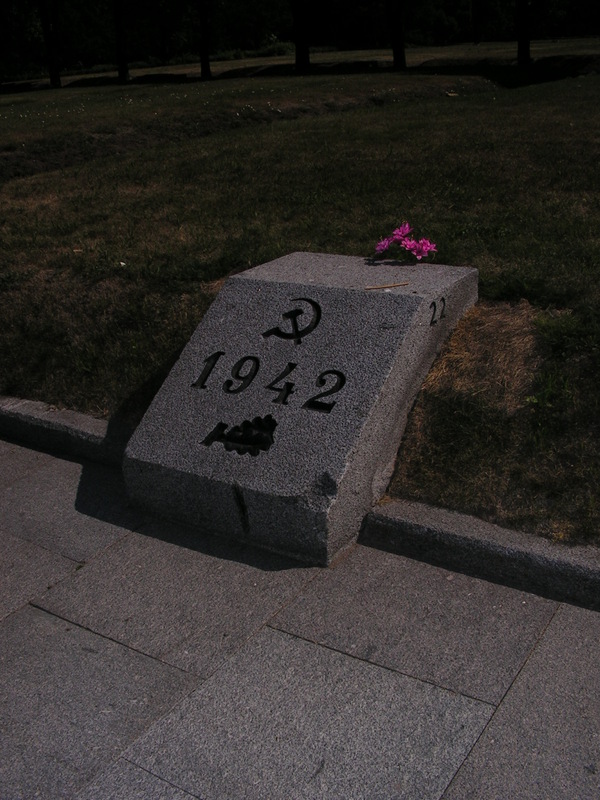 Nearly half a million Soviet citizens killed by bombs or bullets, or starved in the siege are buried in 186 rows of mass graves at Piskarevskoye. Markers like the one below indicate the year and row number (22). Berggolts and her family were victims not only of the Nazis, but also Stalin’s terror. Still she was a patriotic and loyal citizen. 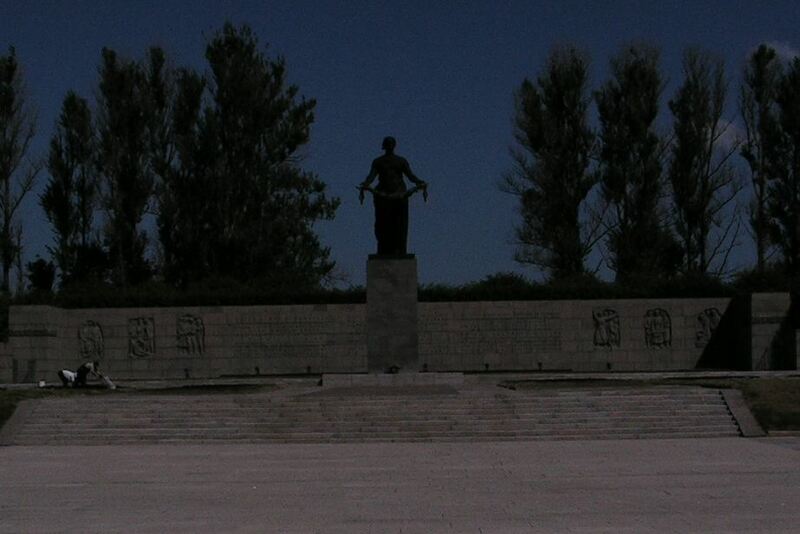 Her life history makes one wonder if she felt “No one and nothing is forgotten” covered more than the war’s tragedies. This line written long ago still seems relevant in the struggle for Russia’s historical memory. 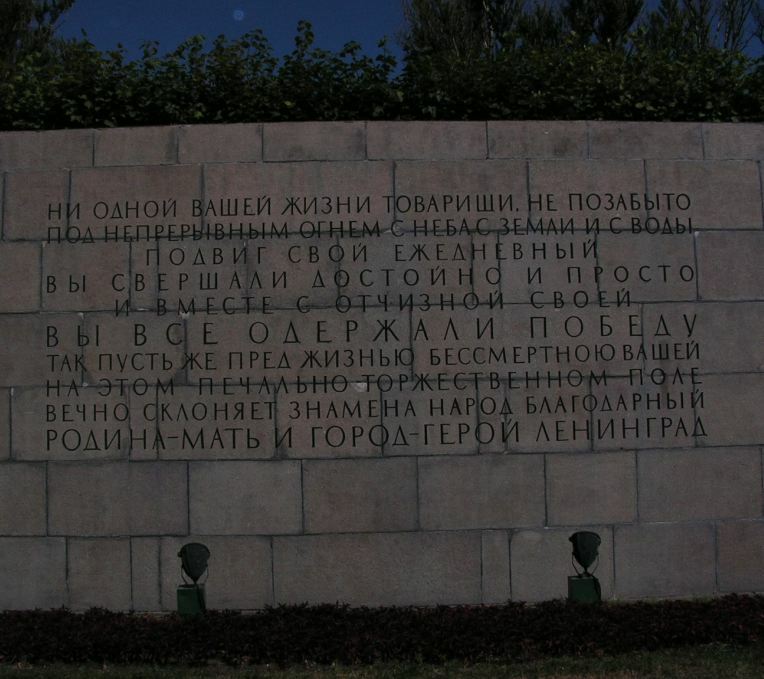 This entry was posted in Military History and tagged Olga Berggolts, Piskarevskoye Memorial Cemetery. Bookmark the permalink.